Every year we host lots of hen parties! If you're thinking of planning a hen do in North Wales then get in touch, we can offer lots of helpful suggestions. Snowdonia makes for a great location for a hen weekend because not only is there good nightlife during the evening, there's a wide selection of brilliant activities to do during the day! We always recommend the canyoning trip as the must do activity we offer. It's adventurous, exciting, great fun, and it's well within everyone's capabilities no matter how brave or fit you are. You don't even need to be able to swim! If you think a full day is something you might be interested in, both rock climbing and kayaking offer exciting and contrasting experiences. If you're interested in booking an activity for your hen weekend, the best thing to do is drop us an email. We can also offer useful advice on where to stay, what to do and where to go out in the evening; feel free to ask! We always reccomend being as organised as possible, this means getting in touch with us well in advance. 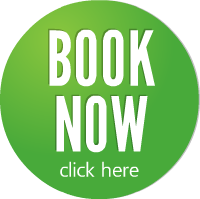 We host a lot of large group bookings, contact us now to avoid dissapointment (although we always try our best to accomodate).